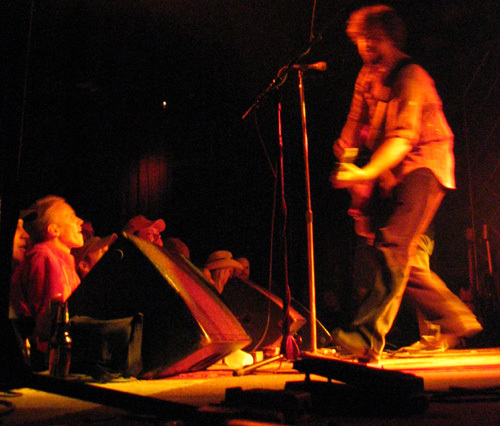 This picture of Patterson Hood of the Drive by Truckers is from the second time I saw the band. I've always liked this picture. I like the blurred motion of Patterson and the big smile on the fan at his feet. This show took place at the Visulite Theater here in Charlotte, NC. This show was the first time I saw them after they broke out. I was afraid I would be the only big DBT fan there and was surprised to see about 1000 other screaming maniacs. Classic show for me.